[Washington DC]: U.S. Government Printing Office, 1941. 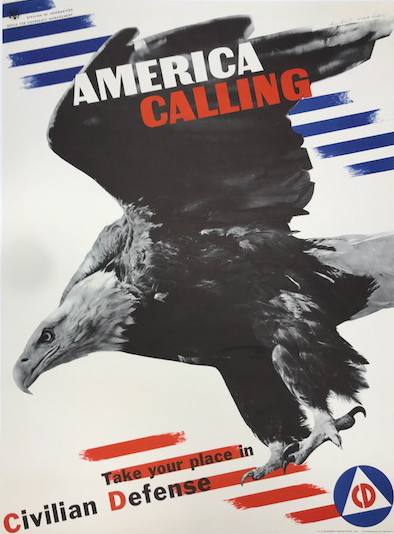 Stunning patriotic poster, issued by the Office of Emergency Management’s Division of Information and designed by Herbert Matter. “At first glance it is a superb aviation poster, or a poster more patriotic than its text. The angry sweeping bird was posed by a great American eagle at the National Zoological Park, Washington, DC and photographed by Arthur Fisher.